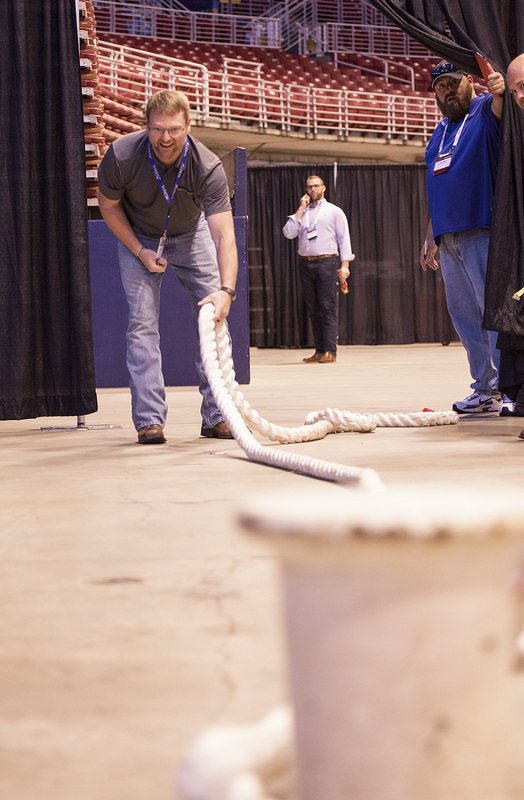 The Maritime Throwdown, an industrial maritime competition that tests line-handling and line-throwing skills of mariners from around the United States, held its most recent challenge at the Inland Marine Expo (IMX) in St. Louis, Mo., May 22–23. 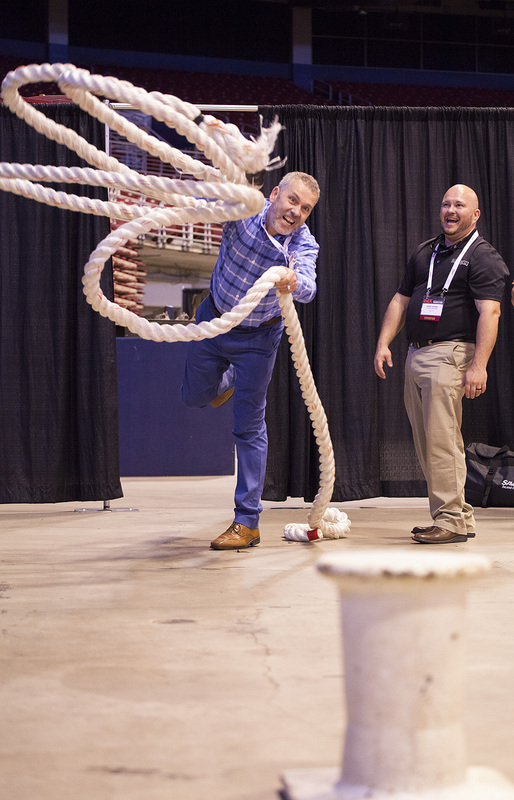 While the Maritime Throwdown challenge at IMX was open to all trade show exhibitors and attendees regardless of skill or background, the competition was just as fierce as at the Maritime Throwdown’s inaugural competition, held in Baton Rouge, La., last October. 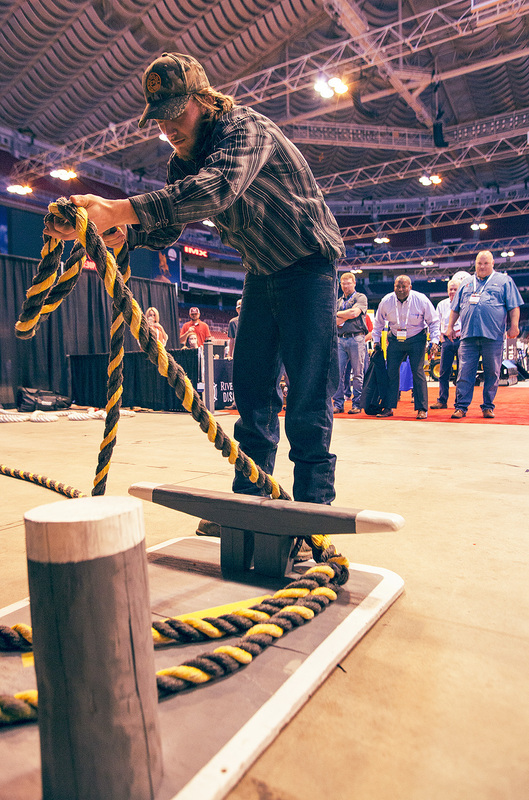 At IMX, Maritime Throwdown held two events: a line handling course and a line throwing course, where competitors caught a 2-inch synthetic single- part line on a timber head. Capt. 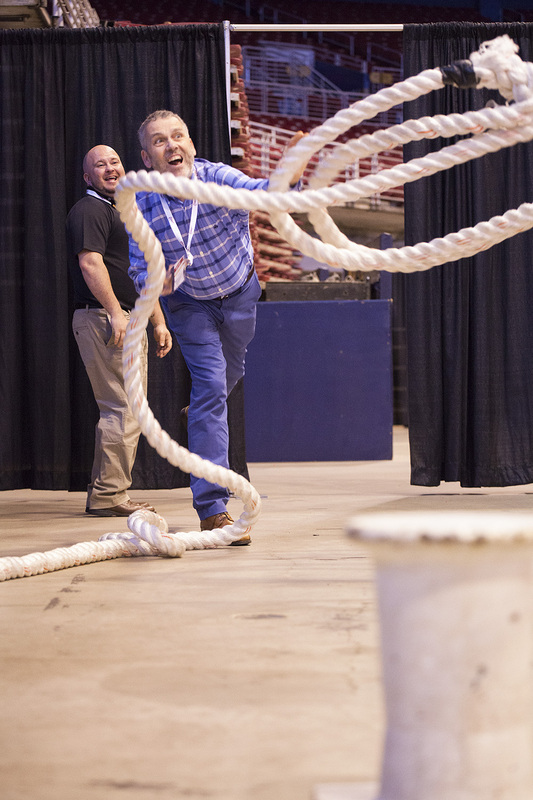 Kenny Brown, founder of the Maritime Throwdown, and Captain Jerry Berry, also with the organization, guided competitors through the course. 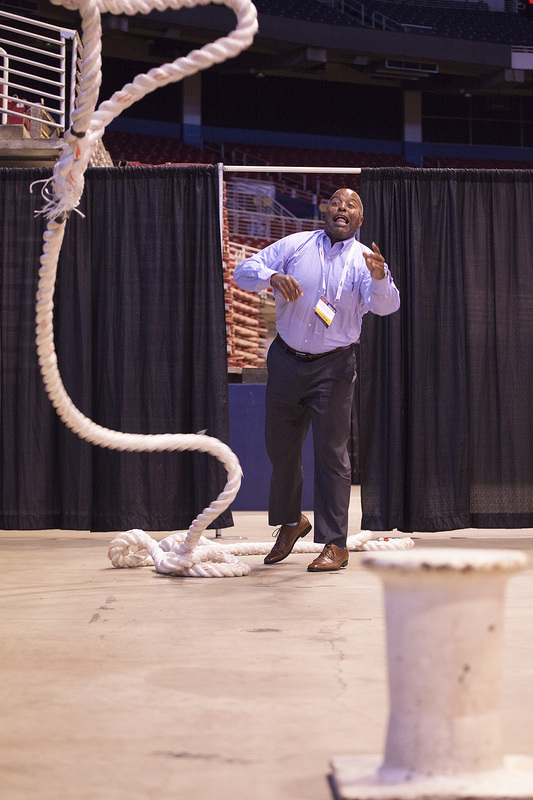 Top honors for the longest throw went to Eric Gilmore, marketing director for the Red River Waterway Commission. Gilmore heaved the line an astonishing 23 feet, 2 inches. 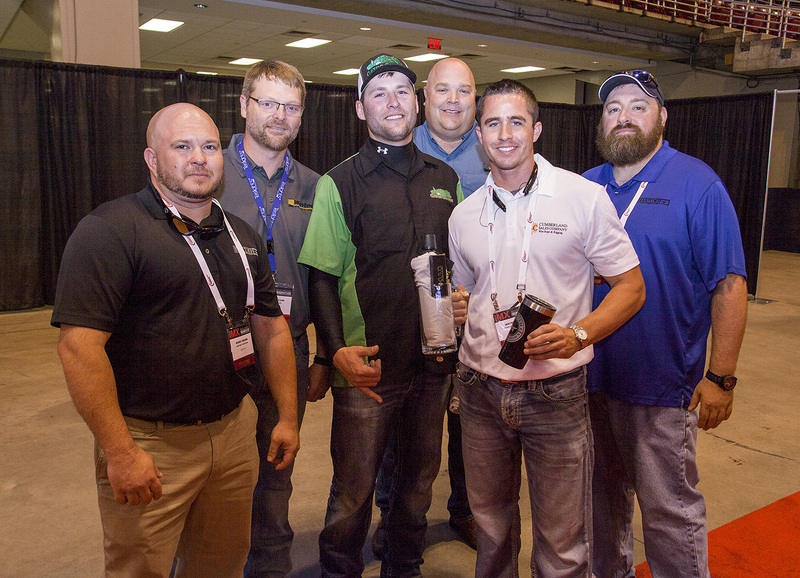 Second place—and the presumed victor until Gilmore seized control of the event—was Donnie Calvin, a regional sales manager with Wintech, who launched the line at 22 feet, 6 inches. Dustin Arnold took third place with 18 feet. 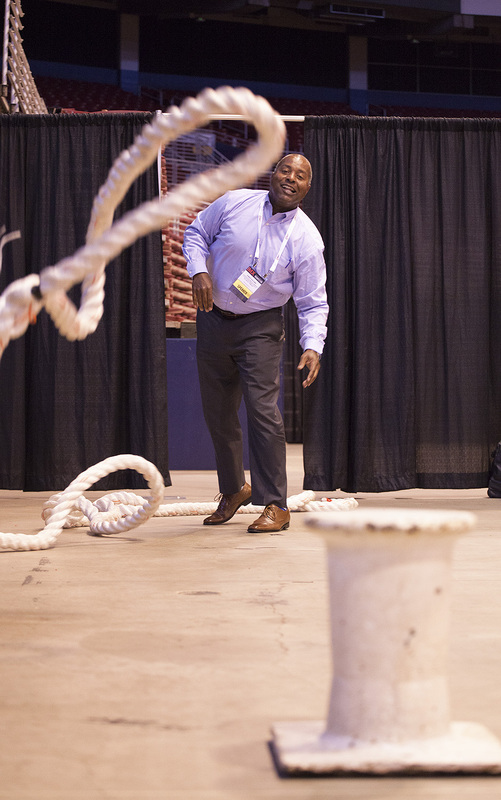 “I was able to channel my inner Kurt Warner and make the deep throw and win the championship,” Gilmore said, referencing the longtime St. Louis Rams quarterback, who won numerous games in the same dome where IMX was held. Calvin was victorious in the line-handling competition, which timed competitors as they simulated securing mooring lines at three stations. Calvin secured a top time of 51 seconds. 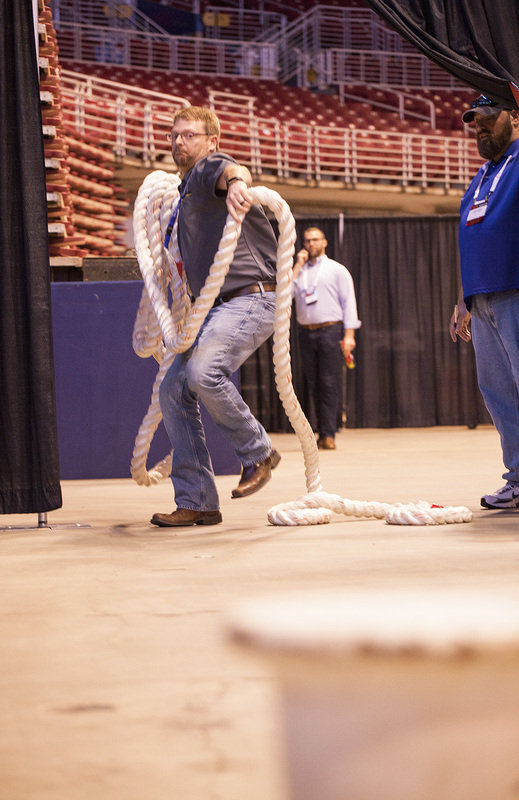 Second place went to Wayne Jaco with Cumberland Sales Company, who completed the course in 52 seconds. Mike Lambert of Gator Guards finished the course in 56 seconds. 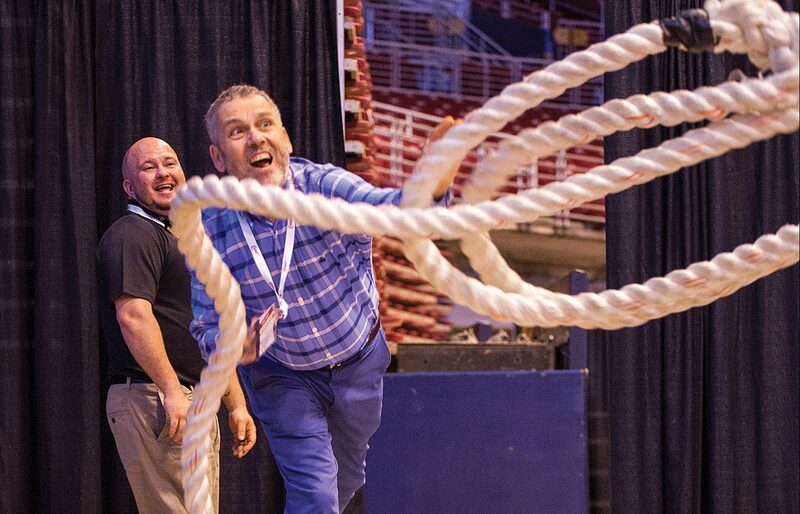 Along with prizes, the winners will receive complimentary registration for next year’s IMX, scheduled for May 20-22, 2019, in St. Louis. 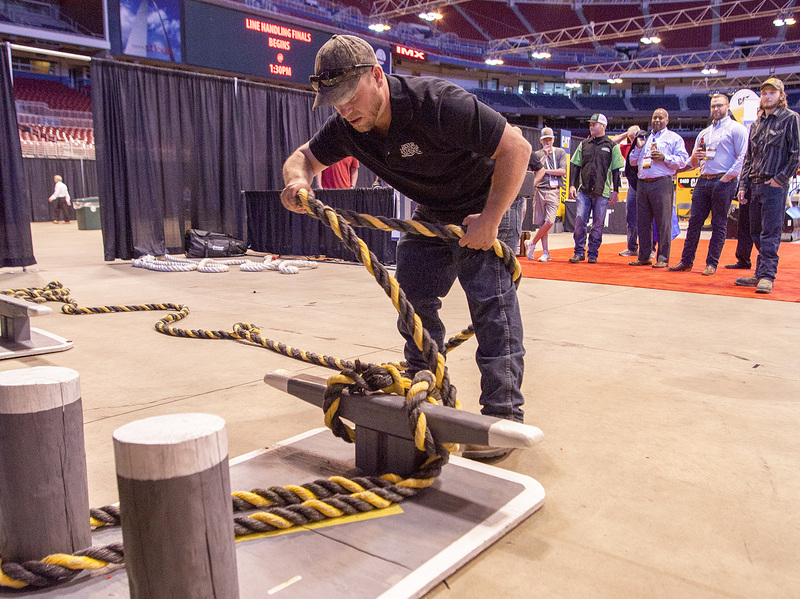 The IMX competition was a partnership between the Maritime Throwdown and RiverWorks Discovery, an outreach program of the National Mississippi River Museum & Aquarium and the National Rivers Hall of Fame. 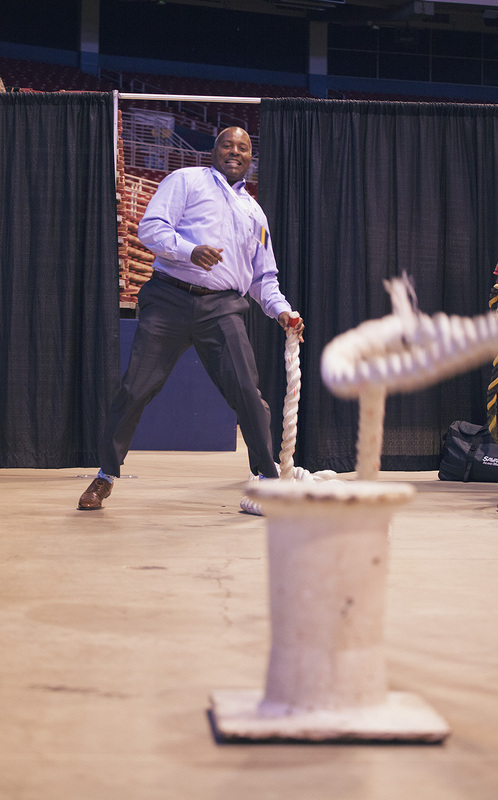 The next full scale Maritime Throwdown competition will be held October 13 at the Lamar-Dixon Expo Center in Gonzales, La. 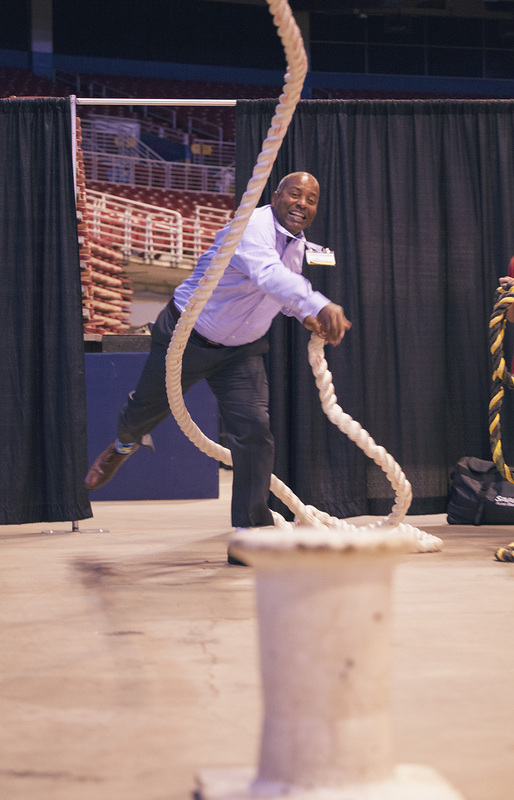 “The Maritime Throwdown is an industrial maritime contest dedicated to increasing skill, safety and physical fitness, while also introducing career-minded individuals to our industry,” Brown said. 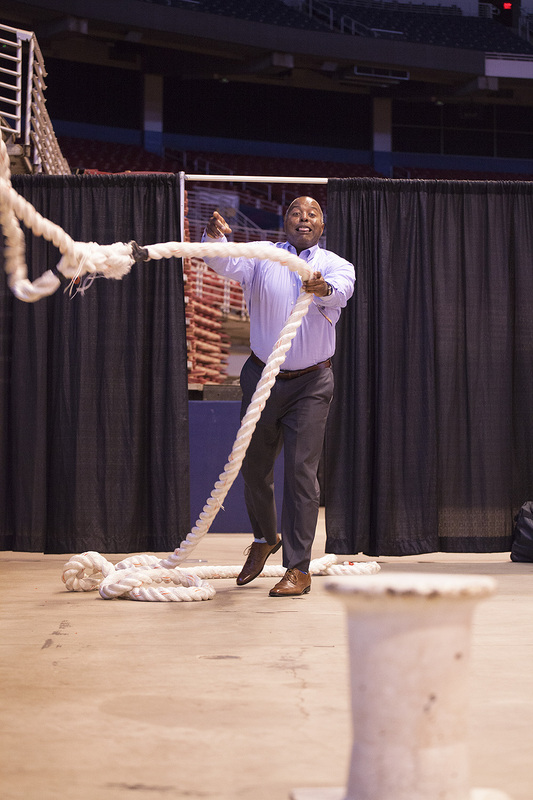 Brown said the 2018 Maritime Throwdown competition will feature a timed line handling obstacle course, the Anchored in Muscle Challenge, which is longest single-part line thrown and caught, and a life-ring toss. 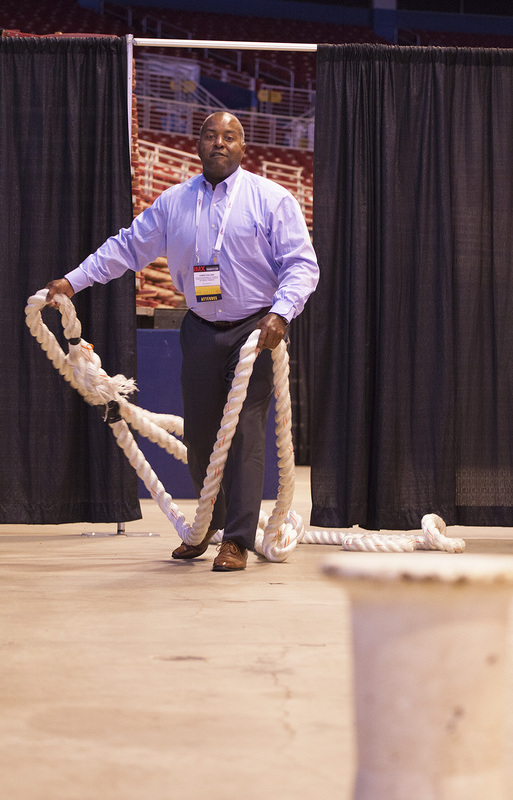 Cash awards for winners at the 2018 Maritime Throwdown will exceed $3,000, plus prizes from maritime schools. For more information, visit www.maritimethrowdown.com or search for “Maritime Throwdown” on Facebook.